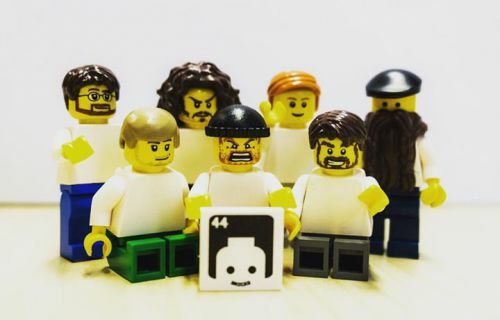 44 Bricks provides LEGO® fans around the world with new and used LEGO parts, minifigs and sets. In our online stores we offer a wide range and large quantities of LEGO products from all eras and themes. Here on 44bricks.com we have compiled some general information and LEGO related content for you. To proceed directly to one of our online stores click on the corresponding link below. Can't believe how quickly this order arrived. Thank you so much. Excellent Seller, helpful, friendly. First Class Service Highly Recommended. Great customer experience! Very fast, nice, and communicative seller! As usual with this shop, everything is perfect. One of my favourite shops!!! Impressive LEGO Technic MOCs for reconstruction from our friend Nicolas "Nico71" from France. Fernando also known as "Sheepo" from Spain is famous for his genious LEGO Technic creations. Interesting set reviews and more are to be found on Johannes's YouTube channel "Bricks4Jo".